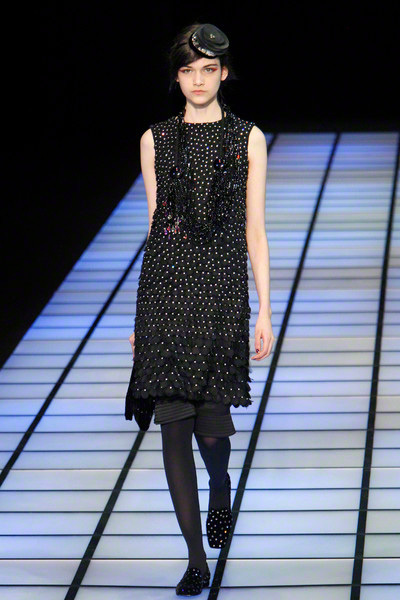 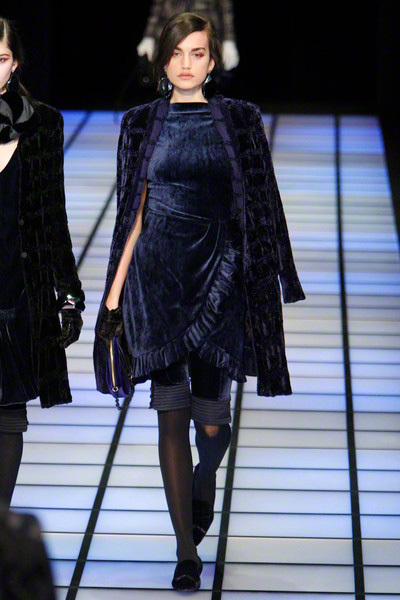 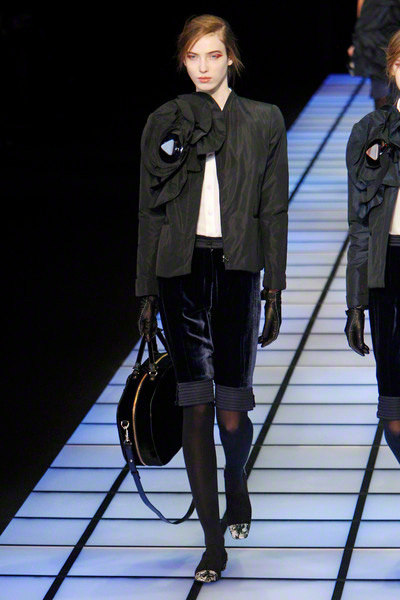 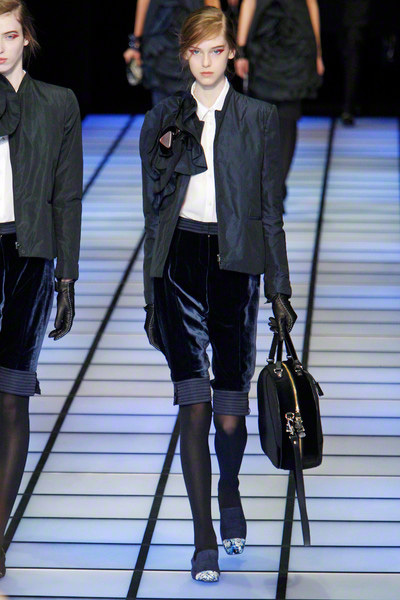 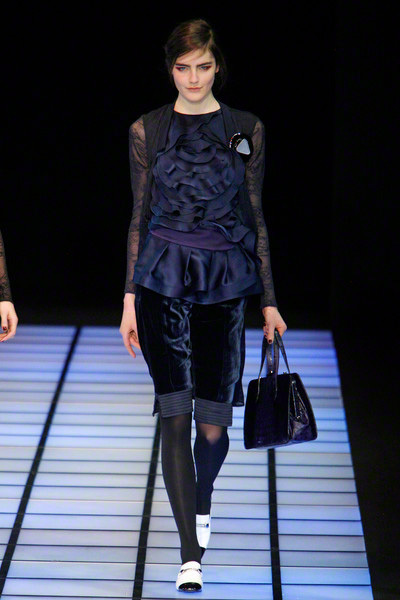 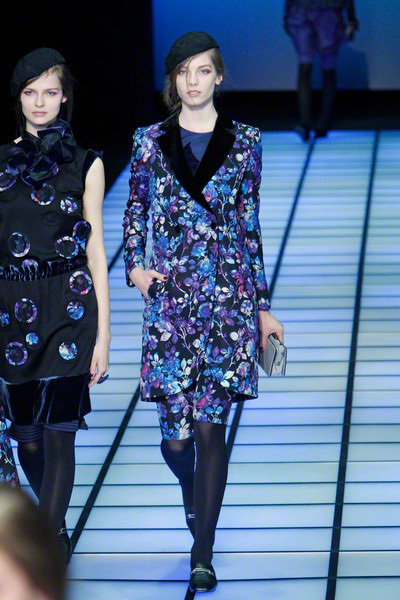 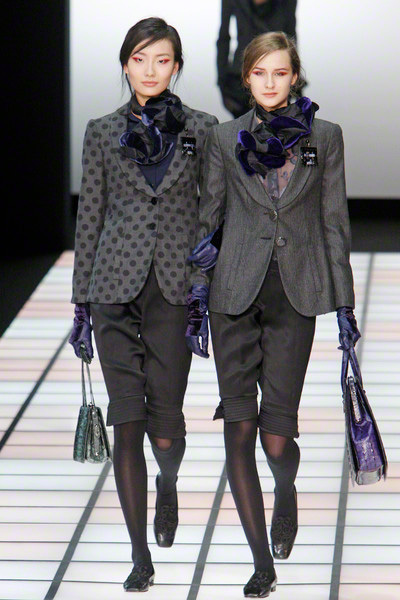 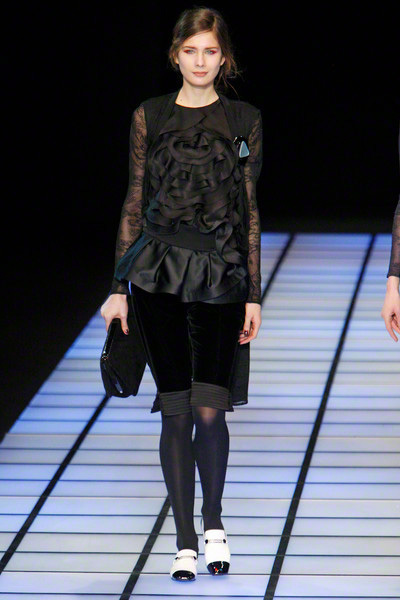 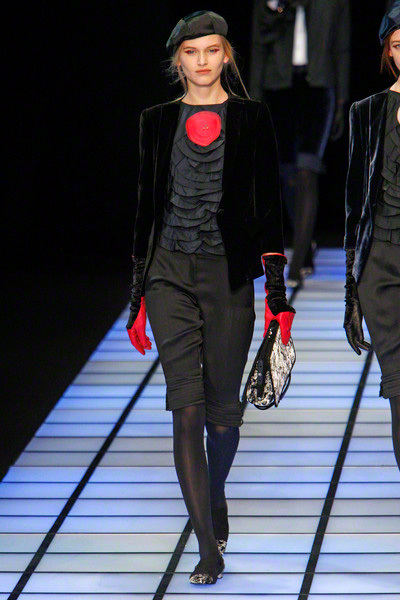 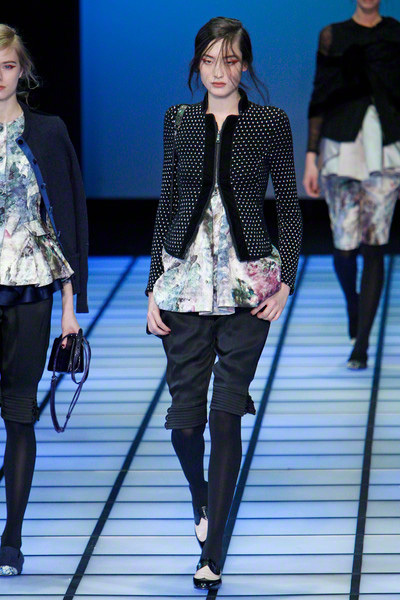 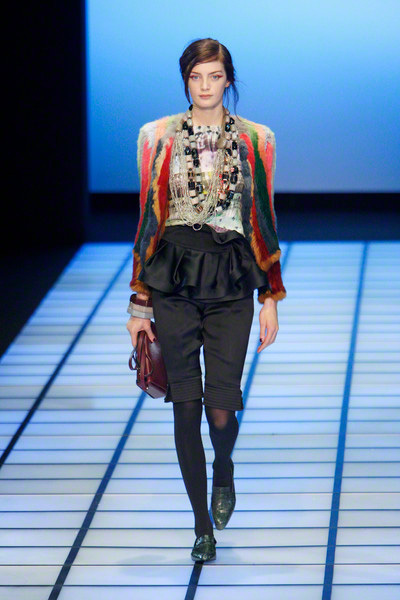 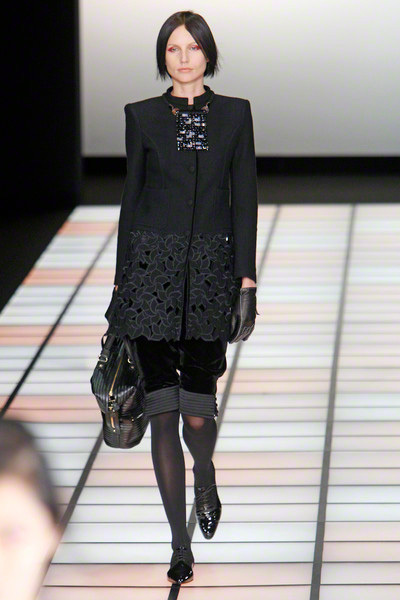 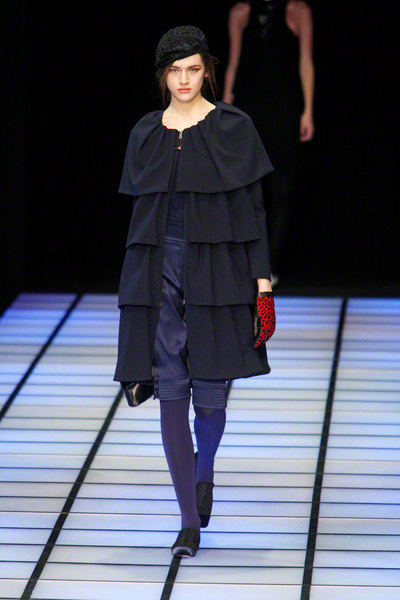 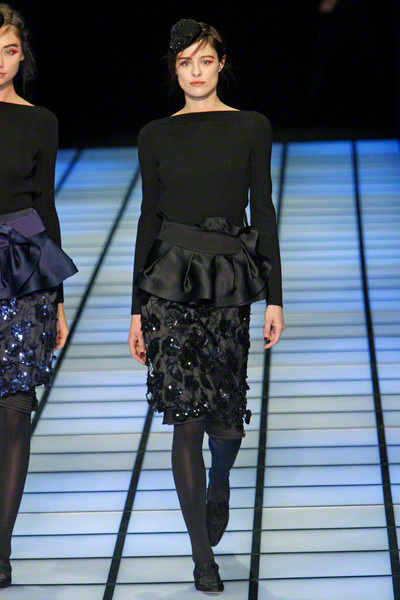 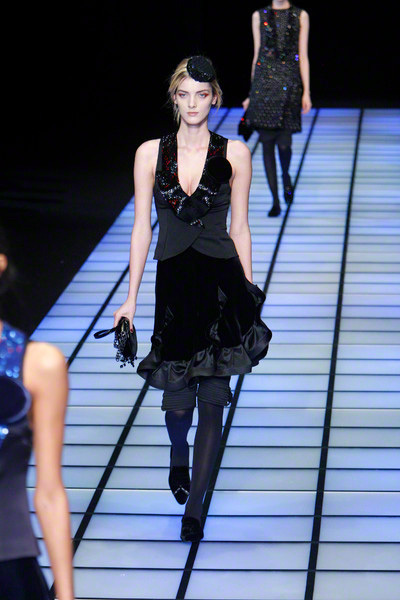 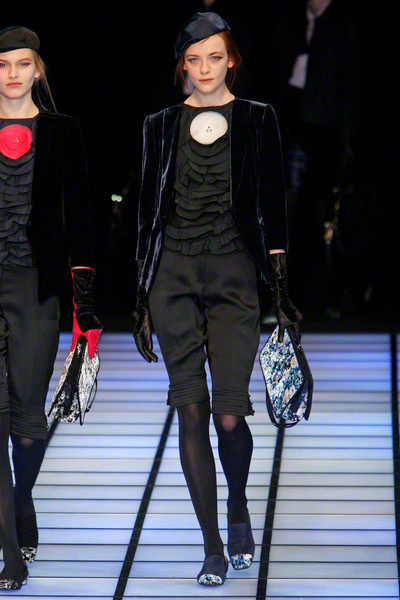 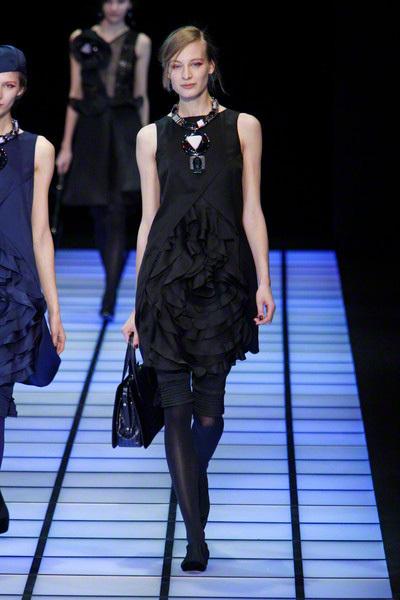 Today’s Emporio Armani looked like fun. 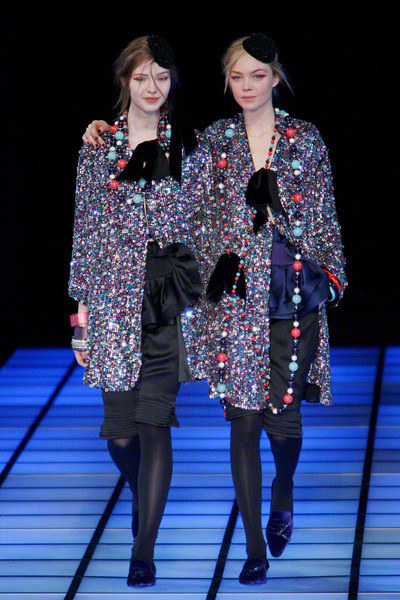 Fun to wear and fun to watch. 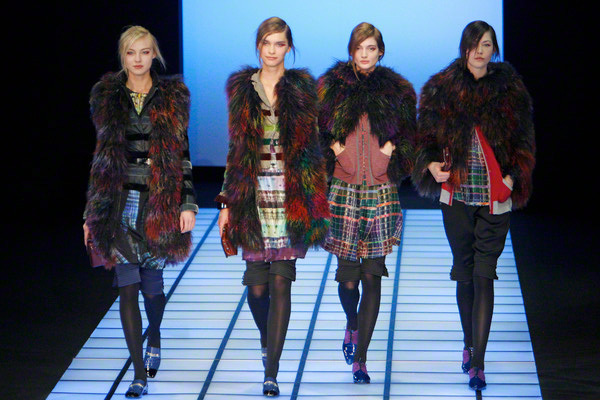 Outfits were outspoken when it came to silhouette and print. 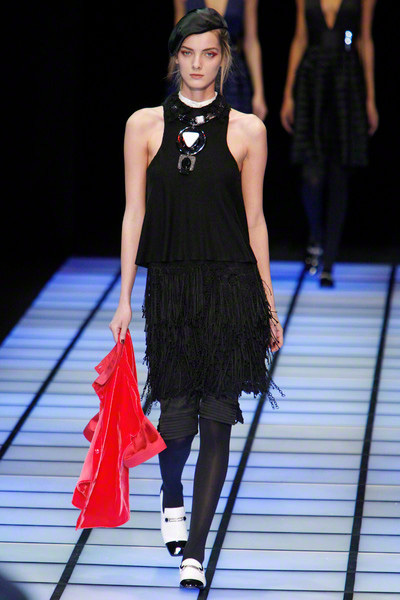 Besides they were finished off in all kinds of playful ways (ethnic, chunky jewelry and eye catching hats). 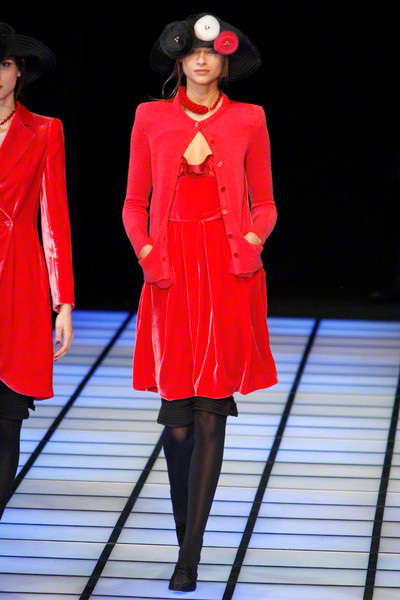 We saw cut out jersey jackets, combined with striped, structured skirts and berets. 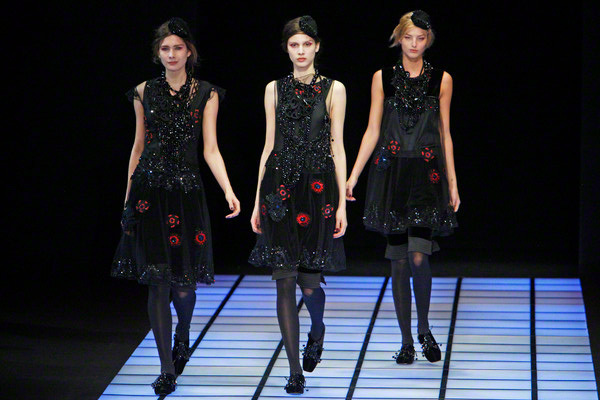 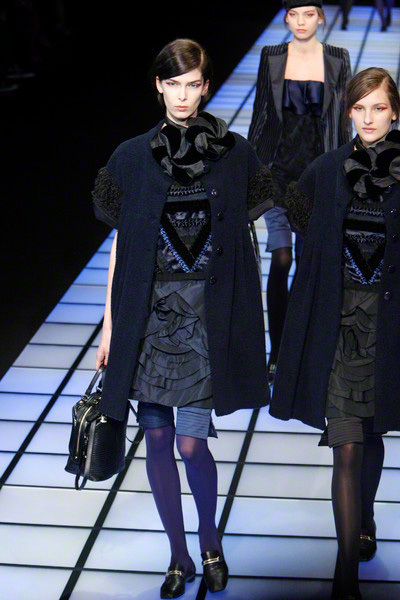 Models wore knee high shorts with woolen vests and wide decorated hats. 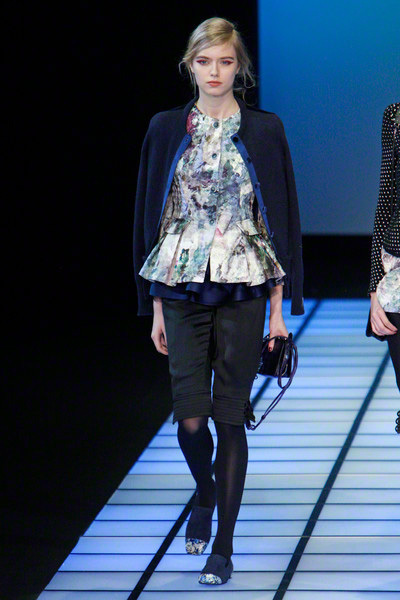 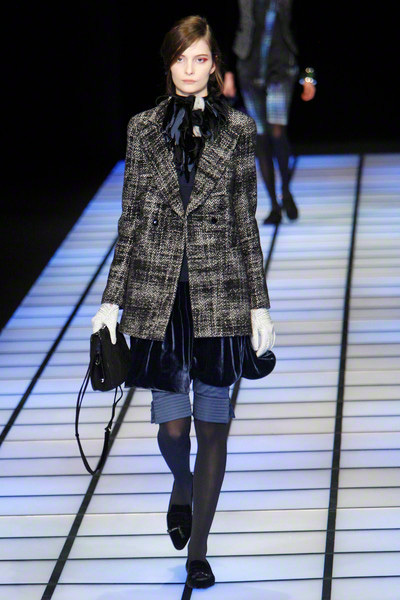 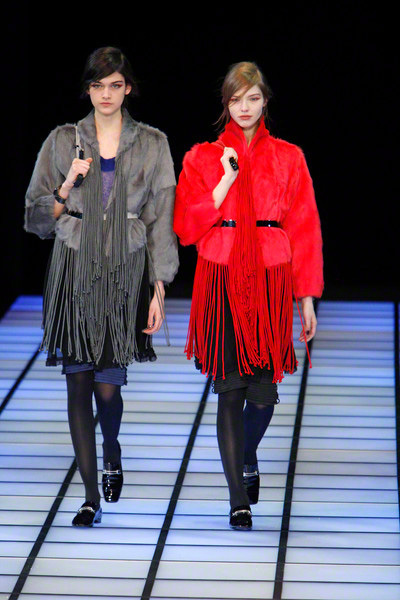 Fringed coats were presented next to tweed and polka dot versions. 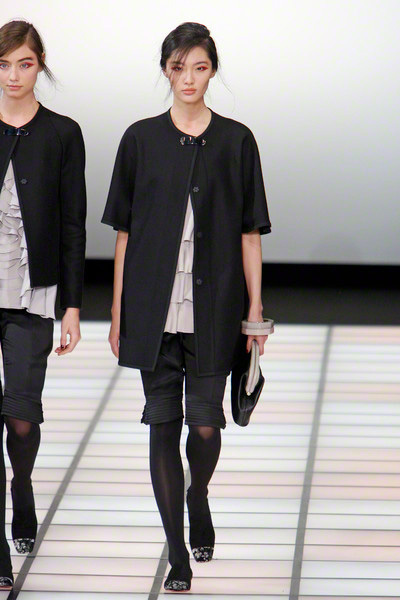 And there were some peplums in the mix as well. 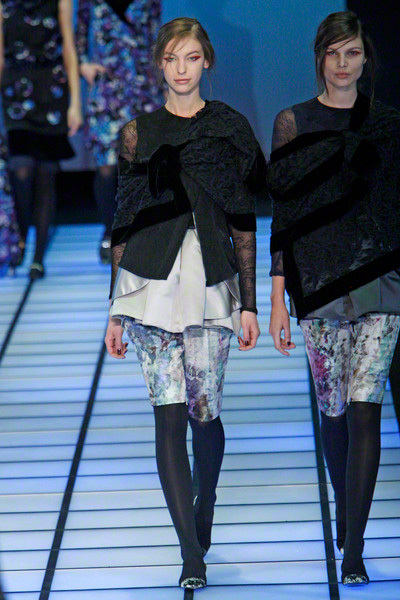 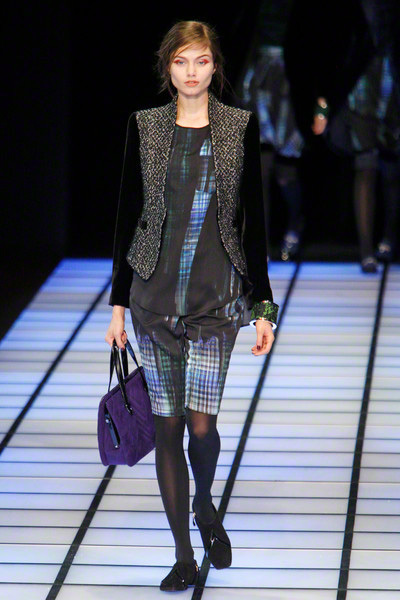 Along the way Armani, who is always a great fan of the basic shades (black, blue, grey) experimented with busy prints and rainbow colors. 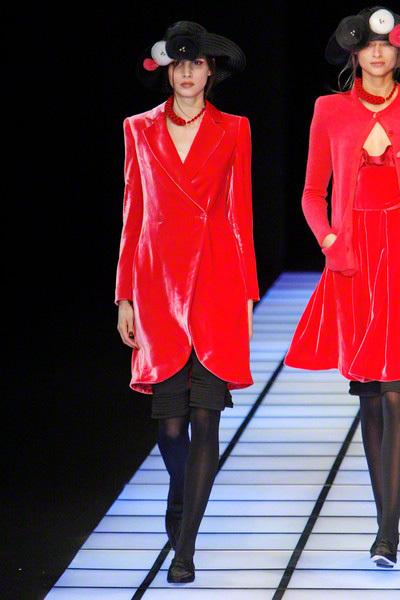 He presented some great colored coats and skirts in line with the fun colored trend of the moment and perfect to brighten up a dark day. 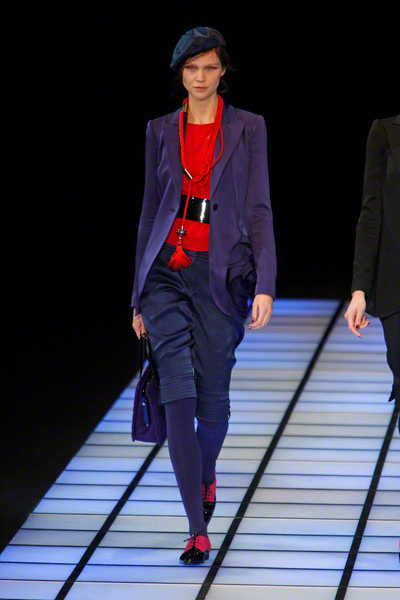 It might have been slightly out of his comfort zone, but we would love to see that ethnic/bright colored Emporio more often.